Do you need an awesome idea for a themed party? Here it is …. 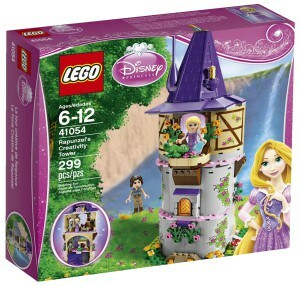 Disney’s Princess Rapunzel Tangled Party! ……. Now that has a nice royal ring to it. Featured on these paper lunch plates is a large image of Princess Rapunzel with her long golden hair gazing up and day dreaming, in the background find a beautiful design of flowers and birds, also notice her pet friend chameleon Pascal. These paper lunch plates come in packages of 8 and are 7 inches in diameter, these are perfect for your Disney’s Princess Rapunzel Tangled themed party and also check out all the other cool party supplies to match. 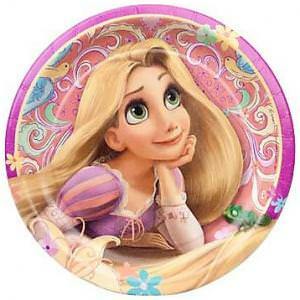 For your party add the Disney’s Princess Rapunzel Tangled Lunch Plates. It’s time to get your beauty rest and of course you will need only the best bedding. This is the best set a Princess can get, a sheet set that features the Disney Pixar Princess Rapunzel from the cool movie Tangled, with many soft pastel colors and image of Rapunzel and her chameleon friend Pascal. Made with quality and care the set includes 1 flat sheet 66 x 96-inch, 1 fitted sheet 39 x 75 x 10-inch and 1 pillow case 20 x 30-inches, available in sizes full and twin. The pillow case is reversable with one side having the image of Princess Rapunzel and Pascal the chameleon while the other side has the quote “LETTING MY HAIR DOWN”. 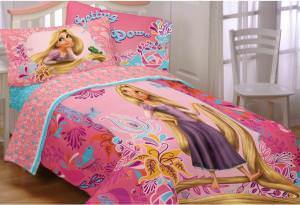 Snuggle up with the Disney Tangled Rapunzel Let My Hair Down Sheet Set. Pascal that fun and friendly chamaleon from the animated Disney movie Tangled, alway there to support and help it’s best friend Princess Rapunzel. 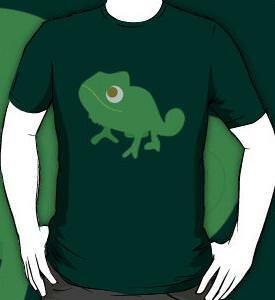 Find Pascal on the front of this t-shirt with a fun and adorable smile looking very cute with that loving stare. This t-shirt is made from 100% cotton and can be found in a wide variety of sizes (kids and adult) and colors, also check out the different styles of shirts to choose from. Find your Tangled Chamaleon Pascal T-Shirt. Disney’s Tangled a magical and amazing animated movie featuring the Disney Princess Rapunzel. 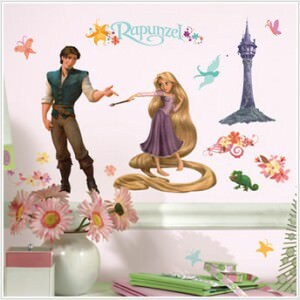 This is a beautiful set of Tangled wall decals that features Princess Rapunzel and her Prince charming Flynn along with Pascal the chameleon and lots of other great things from the movie like Rapunzels tower and much much more. With so much great detail you will find these Tangled wall decals very useful aswell, leaving no sticky residue behind and are repositionable. 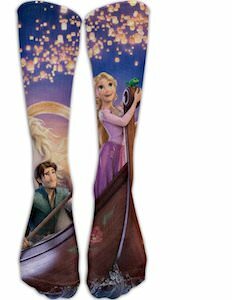 Get your Disney’s Tangled Wall Decals. Pascal, the cool and calm chameleon is always by Rapunzel’s side, and always ready to help. 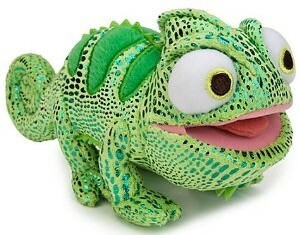 Now you too can have this adorable little chameleon Pascal to go everywhere and do everything with you. This is a super soft plush of Pascal from the hit Disney animated film Tangled, this Pascal measures 7 inches in height and 8.5 inches in length and has lots of great detail and color. 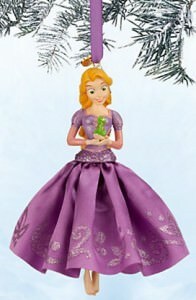 Get your Disney Tangled Pascal 7 Inch Plush.